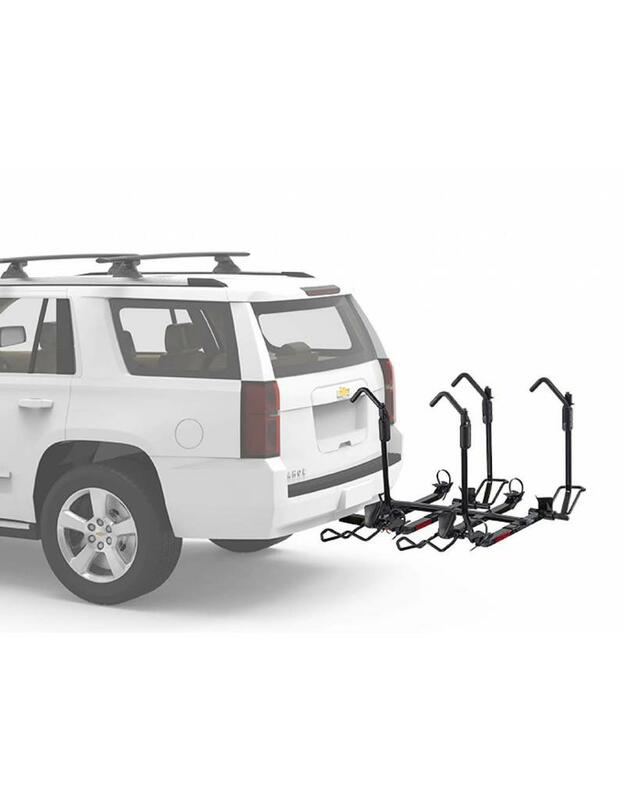 Great for families, double dates, or bringing your entire bike quiver, the HoldUp EVO +2 turns the 2” HoldUp EVO into a four-bike hauler. It’s versatile enough to handle most bikes, from BMX to fat tire bikes. The StrongArm hook secures the bikes at their wheels, protecting carbon frames and painted surfaces. 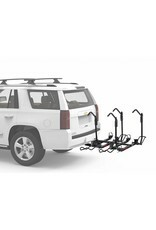 The whole unit can still tilt down and out of the way with bikes loaded, for easy rear-of-vehicle access, and the empty trays fold up and out of the way when not in use. Included SKS locks for each bike give you peace of mind.